In the modern-day world, sharing personal experiences through published writing has become a thing. It helps you resonate your thoughts with people out there and you get to learn about their views of your story. Over the past few years, blogging has become fairly popular among people. Blogging, if done right, can prove to be an extraordinary way to express how one feels. At the same time, it can be used as a powerful marketing tool and a way to generate extra cash. Are you looking to start a blog soon? Well, there are several ways you can address this but before you write your first blog post, you need to look at things from a point of view of a professional blogger. Moreover, there are so many answers you need to find for yourself. To state some, you can either create website online for your blog with your own domain name or simply use blogging platforms like Tumblr. 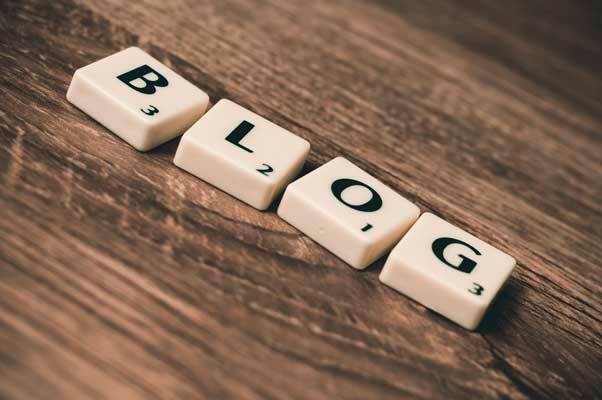 However, if you are seriously looking to become a blogger, read further to find some important things you must know before embarking on your journey to blogging. You often come across bloggers who are boasting about the ridiculous amount of money they have or are continuously telling how they have left the rat race of a 9-5 job and are now financially free. Well, as a matter of fact, most of them are telling the truth and you, too, can achieve that height of success. But patience is what you must have before you even start thinking of success. Blogging is like building an empire, you write with honesty, share your views, interact with people and slowly gain enough traction that your word becomes influential. That is the moment when a blogger makes huge profits but getting there requires patience. It may take you a year, maybe a couple of years, maybe more… or maybe you will become successful almost immediately, you never know. That is why we would recommend you not to neglect the other sources of income apart from blogging unless you can be 100% sure that writing blog posts can satisfy all your financial needs. Selecting the right niche is as important as knowing how to write well. You can’t expect great things if you chose a niche you have no interest in personally. If you love science, start a science blog. Love music? Start sharing your thoughts on the recent album releases. Through this, you will be able to connect better with the people reading your posts. Moreover, since we have talked about patience, you can’t hold yourself together in a niche you don’t like. Patience fades away if the niche you selected is not aligned with your interests. Some niches have more influencers than others, thus, the competition among the bloggers for the audience can be stronger or the niche can be free and waiting for you. You should understand the real situation to choose the right marketing concept and the content for your blog to reach the best results. Here is a depth guide on choosing a blogging niche by ShoutMeLoud. Read this if you are confused in choosing a niche for your blog. How can a blog be successful if the content is not solid? You need to really think things through before posting them. The readers these days hate wasting their time on content that sounds shallow. Therefore, you need to come up with content that your reader will enjoy. If you have no connection with the topic you are writing about, how will the people reading it feel? They will read one of your blogs and then never return to your blog website. Your goal should be the opposite. Social media is the place where bloggers have turned into influencers. Modern-day blogging is considered incomplete without platforms like Pinterest, Instagram, Facebook, and Twitter. Some types of blogs don’t even require writing anymore. For instance, if you are a travel blogger, you can start with posting photos and videos from your travels to your social media and begin your blogging journey that way. There are so many temptations out there – with people gaining tons of followers through switching niches or going for categories that are currently viral, but many new bloggers struggle to find their feet. Having a firm reason to start a blog can increase your chances of success drastically. Moreover, originality in content is also a must-have. In short, you can’t be a top-notch blogger by being someone else. You must embrace your style and keep improving yourself day-by-day to be the best blogger out there.